-Journey to the longest Canopy Walkway in the world. -About 30 metres high and 400 metres long. 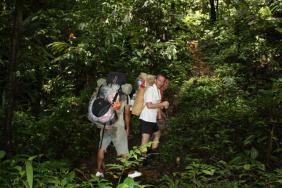 -Feel experience looking the oldest tropical Rainforest from the top. 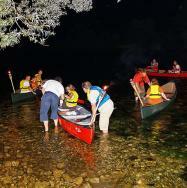 -To explore the limestones outcrops. 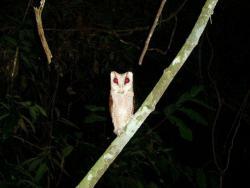 -To catch sight of Horseshoe Bats, Cobra, Giant Toads and Termite Colonies. -Suitable for those who love adventures. 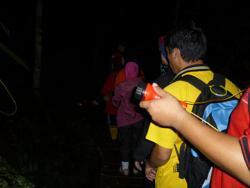 -Experience Canopy Walkway. "The longest hanging bridge in the world"
-Beautiful scenery of Flora & Fauna, Tree Species and Bird Watching. -Enjoy a panoramic view of Gunung Tahan, nature view of Rainforest which cover the hill and verdant valley from the top of Teresek Hill. 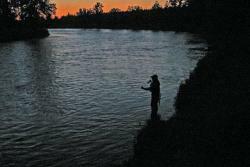 -Enjoy the panoramic views along river bank. -Meandering through the Tahan River. -Enjoy the sound of the Jungle. -Swimming at the spectacular cascade Natural Jacuzzi. 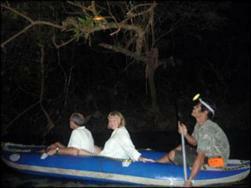 -Trekking at night at tropical Rainforest and watch nocturnal animals and insects. -Listening to symphony of night creatures come alive in the jungle. -View the wonders of luminous or fluorescent fungus and plants. -Subject to good water level. 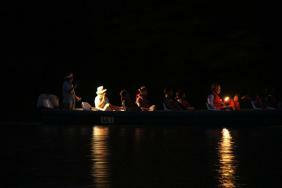 -One time experience night fishing with expert Boatman at Sungai Tembeling. 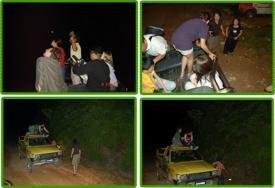 -Join us in a 4 wheels vehicle in search of wildlife at night with flash lights as most animals are active during the night. 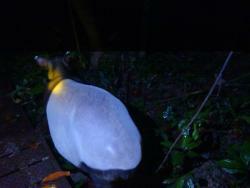 Potentially seen wildcat, wild boar, slow loris, flying squirell, civet cat and others. 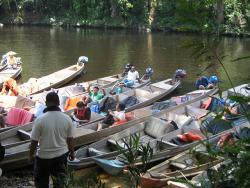 -"Orang Asli" mean "original people" in Malay language. To know the cultural is to know the people. 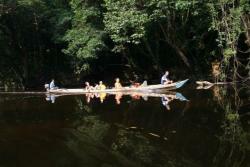 The Orang Asli who continue to live a normadic lifestyle and people who refused civilisation call themselves "Batek". The Batek are gentle race of people, short in stature, dark skin and with tight curly hair. -Learn of their language and way of life and watch their fascinating blow-pipe and fire-making skills plus the secret of Poison Dark (Damak) making which are essential to their lifestyle. 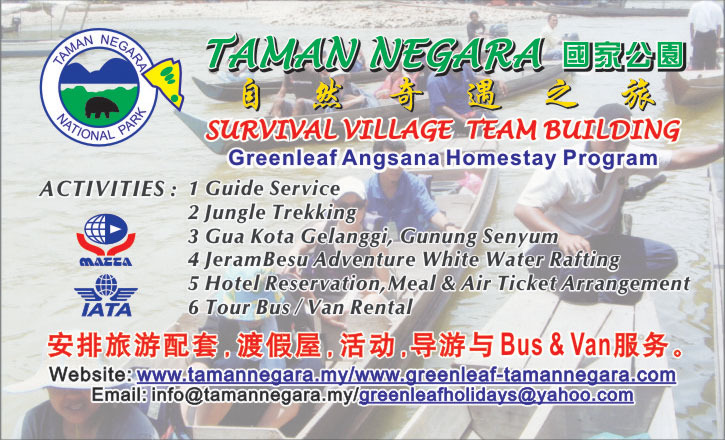 -Prepares to negotiate 7 major rapids from Kuala Trenggan to Kuala Tahan (9km) by rubber raft and enjoy a deep water at Dedari Waterfall with packed lunch in between of water rafting. 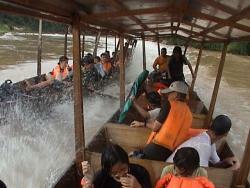 -Enjoy yourself in river rafting in our world oldest Tropical Rainforest. 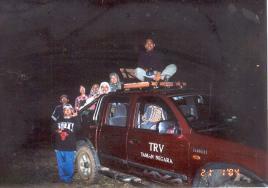 -Experience the 7 major rapids: Nusa, Dua, Abai, Teras, Panjang & Trenggan. 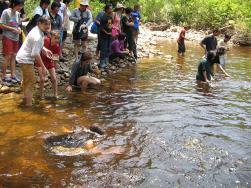 -Enjoy the beautiful Flora & Fauna along the river bank. -Meandering through the Tembeling River. 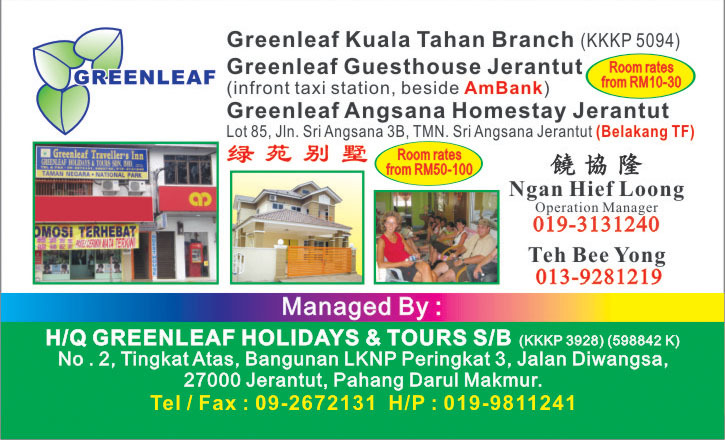 Copyright © 2008-2017 Greenleaf Holidays & Tours Sdn. Bhd. All Rights Reserved. Designed and Monitored by ideaspeak.